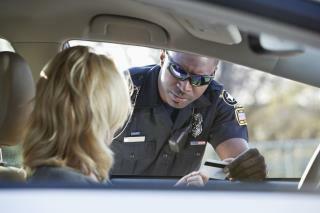 (Newser) – Traffic violations can be pricey, with low-level speeding tickets costing as much as $400 in some US cities. After entrepreneur Chris Riley faced a huge fine for going less than 10mph over the speed limit in Miami, he decided to try to "give people access to services [like lawyers] in a cost efficient way," he tells CNN Money. So he started a business to do just that. TIKD launched its website in February and operates in Atlanta, Baltimore, Washington DC, and parts of Florida and Maryland—with the intent to expand to 30 major US markets in the coming year. Through the app, users simply enter the time and location of the violation, the fine amount, and a photo of the ticket, and lawyers take over from there. If we were serious about improving safety we would go after left lane parkers, those who accelerate to avoid being passed, and tail gators who are less than a car length away. Would like to see if it would work here. We have state law banning the use of any automated system in traffic patrol. We passed an exemption for tag readers since they only capture DMV information and find more wanted felons than anything else. Our municipal judges all operate on a standard premise that someone defending a ticket has to present evidence they did not break the law. Now sometimes taking a lieyar to the court date will get it reduced from a class 9 to a class 3. That means no points. But you can do that yourself by asking. Where most people do get a lieyar is for municipal DUI. We now only allow 2 municipal DUI's in the same city. At #3, it must move from the kangaroo court to state court.